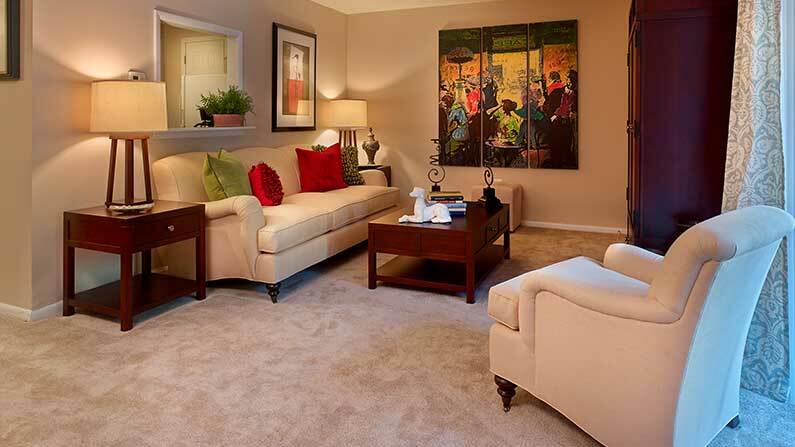 You’ll feel right at home in our apartments in Marlton, NJ. The Villager at Barton Run is nestled within a peaceful wooded setting. With a floor plan to meet every need, The Villager at Barton Run is the best kept secret in Marlton. Our apartments have spacious, well-appointed kitchens featuring modern upgrades and finishes, including inviting breakfast bars, built-in microwaves, faux-granite countertops and white cabinetry. Bathrooms also feature beautiful ceramic tile finishes and designer fixtures. All of our apartments in Marlton, NJ feature private entryways, private patio/balcony, individual washer and dryer, and an abundant amount of closet space and custom interior paint colors. For added comfort, all homes have a central gas heating and air conditioning. 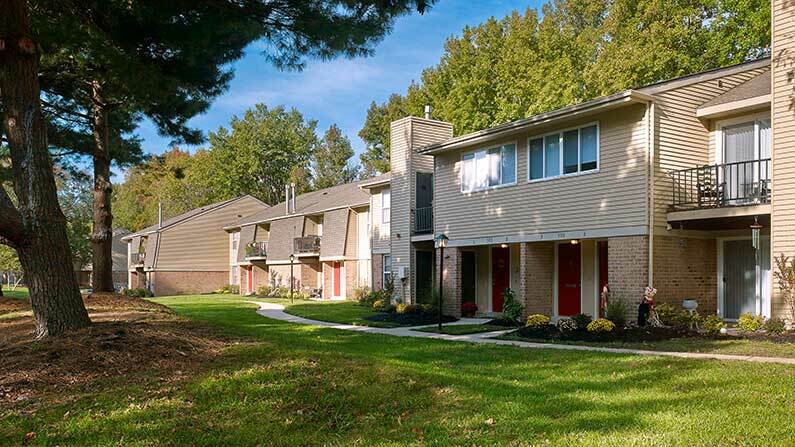 The Villager at Barton Run apartments are near the NJ Turnpike, I-295, and routes 70, 38 and 73, in Marlton, NJ, which was recently voted 2018 Top Town. We’re also only minutes from Main Street Marlton and near restaurants, schools, major employers and entertainment, all just a quick drive to Philadelphia, PA. Ask about our short term and corporate apartments, as well as flexible lease terms tailored to your specific needs. Tour today to learn how you can live the Friedman Five Star Lifestyle at The Villager at Barton Run! We Now Accept ALL Dog Breeds. Additional Insurance is required for select breeds. Call the Management Office for more information.